My mom didn’t scrapbook. She had very few pictures of her family. The pictures she had of us were in a box . When my mother passed and her husband remarried, his wife took any pictures of my mother’s life, which included all us kids, put them in a box and into the garage they went. The lived on the coast of southern Oregon, needless to say most didn’t make it and the few that did were pretty damaged. We had all changed so much I did know who was who . I started scrapbooking in high school, and with my first marriage but lost them in a divorce. As years went by , I either didn’t get my film developed or if I did, kept them in the envelopes then came in after brining developed. I’m almost 65 now and have a heck of a job ahead of me . It’s absolutely overwhelming! But I have no history! A couple pics of my mom and dad as newlyweds and me and one brother as young children, after that it’s very spotty. Many times I’ve regretted and bemoaned a lack of knowing my heritage, I don’t know my maternal grandfather’ name and only know the first name of my maternal grandmother. The same on my father’s side but I do have one picture of my paternal grandmother. I know this is a lengthy post, but I write this in agreement to the blog. Memory keeping/scrapbooking is important. We need to know who we are and where we came from. It matters; it gives a s sense belonging and without that, there will always be a big hole. Belinda Kersey is preserving the memories of our family! I’m afraid I have let my scrapbooking fall way behind…maybe this post will be just what I needed to give me the push to get back to it and get it caught up! I think this is one of my favourite blog posts! I try to write in my journal at least once a week, but I know I get behind sometimes. I don’t remember my great-grandmothers at all as they both passed on when I was very young. I have photos of my great-grandmother on my mom’s side but nothing from my dad’s side beyond my grandparents. They rarely took photographs before my dad and his brother were born, so there is no record. I don’t even have names – just “might be” names. My mom’s family, though, were always taking photos and I have tons! I will need to get their information on paper! Here’s to preserving memories for generations to come! I think this is so important!! I scrap for my kids and my grandkids all the time but just started going back in time!! I am fortunate to still have my parents and lots of old photos! My mom has been helping identify all the family in those old photos! She gave me a whole box of pictures of me as a baby and growing up!! I can’t wait to put them in an album… relive a little bit of my childhood! And I can’t wait to share these with my grandchildren!! 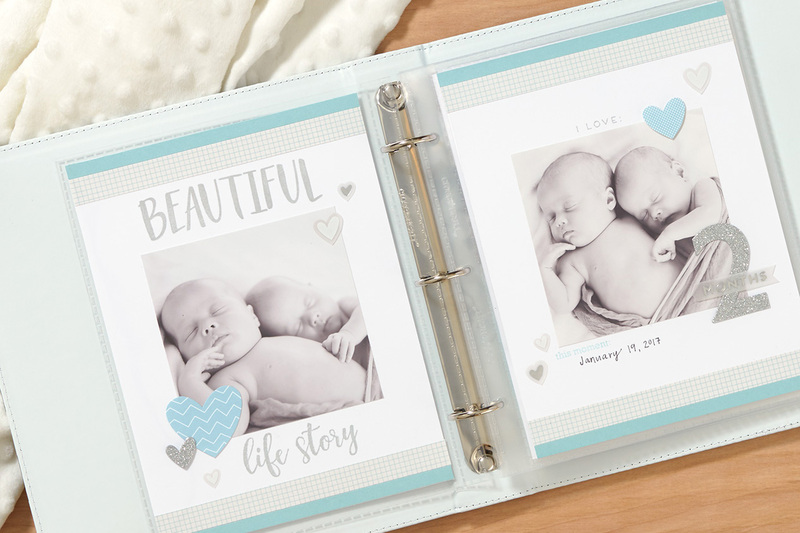 My mom was never a scrapbooker so I have nothing to look back to… I feel that the albums I create will be one of my greatest gifts to my family! A true legacy of love! “A true legacy of love”—we LOVE that! Beautifully put, Bonnie! Now that both of my parents are gone, all I have are memories . I was very fortunate that my grandmother was a memory keeper! I have copies of her college memory book as well as photos and information of my great great grandparents. I cherish these memories and photos! We’re so glad you have those memories and photos. They’re so important, especially after loved ones are gone. Thanks for sharing, Joanne. So very True . We may know a little about our Great Grandparents but do our children. Probably not. I am inspired to create a memory to last for generations to come. ARE you ! So glad to hear you’re inspired! Here’s to preserving our Friends & Family Memories! As an adult, I’m more curious about my grandparents & what they did for fun growing up, in what ways might I be like them, etc but they’re no longer here. It’s important to keep family connections & document life! I challenge myself to scrapbook weekly. Twice a month I share my pages and memories with my granddaughter. It is a great joy to share the stories and the behind the scenes details of the pages. I love to scrapbook. I love to have my daughter’s over to scrapbook with me. We have so much fun. Of course they are a lot further than I am. I’m scrapbooking and organizing photos from long ago. I plan on getting done with that part this summer. I am also starting my oldest daughter’s wedding book using the Live Beautifully paper pack. It is the most gorgeous paper! 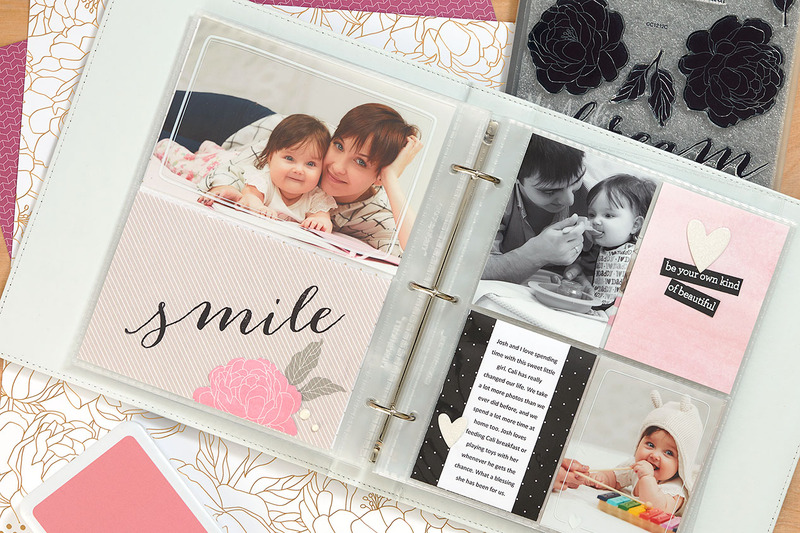 We’re so glad you love it, Shirley, and scrapbooking with your daughter! Those are some great memories you’re creating! This is why I scrapbook!! So my memories and my family’s memories won’t be lost. Sadly, I did not know my grandparents or my great-grandparents. My parents immigrated from the Philippines and brought few photos of their families. We don’t have many photos of my siblings and parents. Four generations that are lost right now. 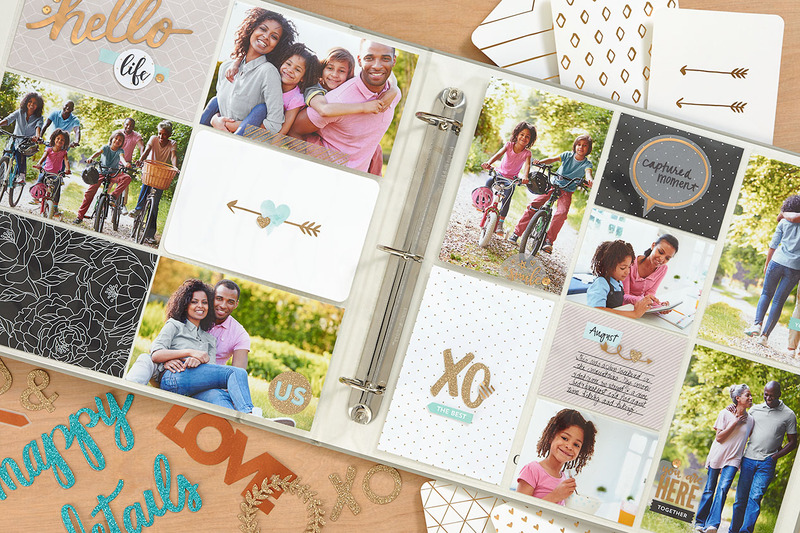 I’m committed to scrapbooking my children and husband so that our future generations will know who we are! I do want to create heritage albums of my families past generations, too. Certainly a big project but with that goal in mind I will carve time into my weekly scrapbooking time to do this! Thank you so much for this blog post!!! I pledge to work hard to preserve my memories and those of my family, spending each week to scrapbook them and share them. I pledge to spend time preserving my family memories and stories, to share them and make them special.